Alcohol content: 12,5 % vol. – 13 % vol. Low espalier training system, average plant density of 4000 vines per hectare with an average yield of 7000 kg of grapes and 4500 liters of wine. Mixed soil. Vinification: The grapes, harvested at the end of August, undergo soft pressing. The free run juice slowly ferments at controlled temperature. The wine is put on the market after a period of bottle ageing. Description: Straw yellow with golden hues. Intense and wide bouquet opening on green apple and exotic fruits notes in an elegantly mineral context. Fresh, savoury, balanced, and of great depth on the palate. 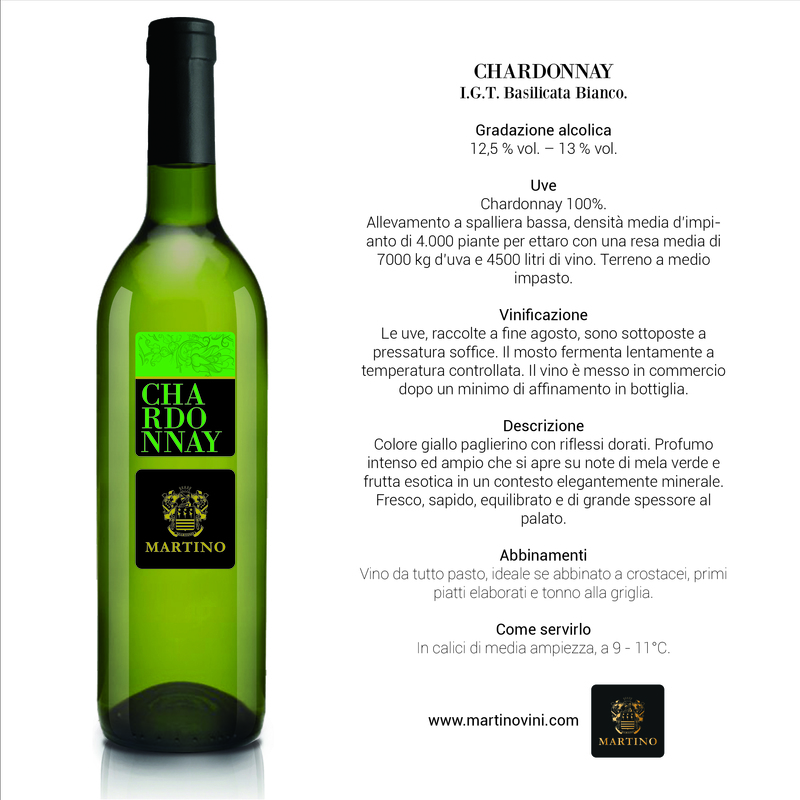 Pairing: Food-flexible wine, ideal if paired with shellfish, elaborate main courses and grilled tuna. How to serve it: In medium-width long-stemmed glasses, at 9 – 11°C.